After lights-out, Sam sneaks out of bed with his furry accomplice, Petey Bear, to discover what goes on in the house at night. Sam said as they slid on their seats down a stair. “Could our basement be filled with a thousand toy trains? Is there a circus performing in the kitchen? Has the guest room turned into a zoo? And most important, what DO Mom and Dad do after Sam’s bedtime? The truth awaits in the den if only Sam and Petey can avoid that squeaky stair. This rollicking, rhyming adventure proves, once and for all, that kids aren’t missing out on anything special after bedtime. Or are they? Sometimes overlooked under video games, talking dolls, action figures and other toys, books can be great holiday gifts. For one thing, they don’t require batteries. The only current involved is the tiny charges shooting between the synapses of the reader’s brain. With a book, you come away knowing more than you did before. That’s not always true with some other toys and gifts. Books don’t cost as much as many other gifts either. When you weigh the enjoyment you get from a good book against the price, it’s surely a bargain. That’s true of juvenile, adult, fiction or nonfiction. The selection is staggering. The availability of titles is unsurpassed. So a book is a great gift. With that in mind, here are some staff reviews of holiday-themed books currently available…. [I’m Really Not Tired] is not a book specifically about Christmas, but it deals with a problem that is often at its worst on Christmas Eve: the reluctance of young children to go to bed. Young Sam doesn’t want to go to bed. He keeps telling his parents he’s not tired, but he really is. He vows to sneak back downstairs and see what is going on that they’re trying to hide from him. He’s sure there is a circus or a zoo that comes out of hiding just as soon as he falls asleep. 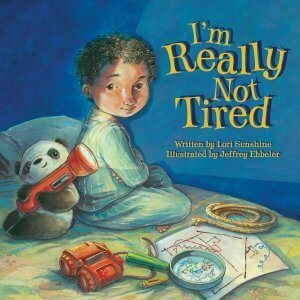 When I was a little girl, I was convinced my parents had all kinds of fun after sending my brothers and me to bed, so I related completely to the main character of I’m Really Not Tired. 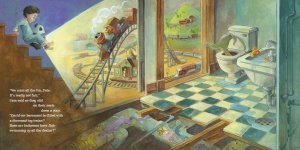 Sam is convinced his parents are having tremendous fun without him each night—he pictures a zoo in the guest room, toy trains in the basement, maybe a circus—all shown in hilarious detail by Jeffrey Ebbeler’s illustrations. Sam decides he and his trusty teddy bear simply have to discover the truth and turn the trek downstairs into a mini mission impossible as they try to learn the truth. What Goes on After Bedtime? By far my favorite picture book this year to date, I’m Really Not Tired addresses the age-old question asked by kids who hate bedtime…does all the fun stuff happen while I’m sleeping? Do Sam’s parents eat ice cream and cake? Perhaps there’s a circus in the kitchen and a zoo in the guest bedroom! So, Sam and his best pal Petey Bear put their nighttime plan into action and go on a truth-seeking mission. In addition to containing a brilliant story, playing on an honest premise that kids will find familiar, the text holds rhythmic beats throughout. And the artwork! Oh, the delicious artwork! It’s perfectly married to the author’s story and even expands on it to take this picture book to new heights. The use of color and Impressionist-like brushstrokes are astounding, and the foreground and background play important roles in every illustration, making every page count. This book is sure to be a hit with the preschool crowd! I’m Really Not Tired hit the market about a month ago; good odds it won’t be a duplicate gift. 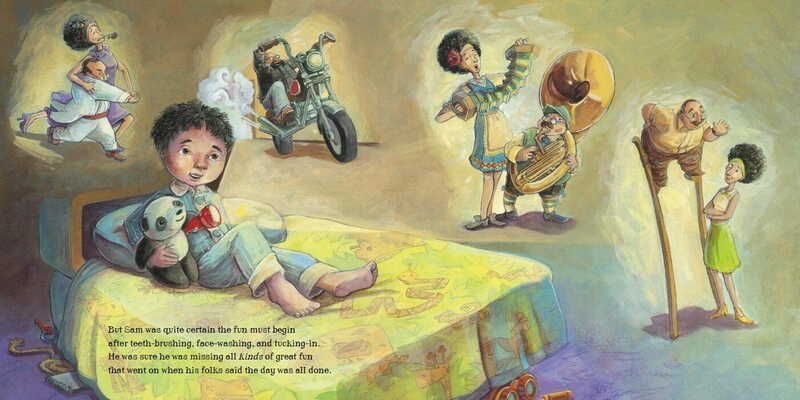 It is an entertaining, clever, and well-written story of a boy’s curiosity about what goes on after he is put to bed. Lori Sunshine (yes, that is her real name), a mother of two and an award-winning writer, does an excellent job of interpreting the child’s imagination. 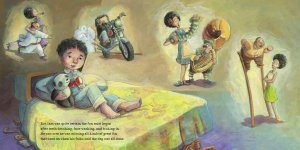 The lively illustrations in this picture book, by Jeffrey Ebbeler, support the story in a humorous, straightforward manner. Besides being a great holiday gift idea, the back-story intrigued me. The book came about because the author took lemons and made lemonade. Motivated to address a common issue, Lori expanded her career into a new area. When asked what inspired her, she told me, “When my son was little, he NEVER slept! He was sure we were having fun without him. So the book was written in a sleep-deprived haze! I thought it would be a creative way to point out how silly he was being. And have a little fun writing it! Plus, I figured we weren’t the only parents with this problem. Other parents might get a kick out of the story, too!” Indeed they will, Lori, as their children take a bedtime journey without having to get out from under the covers! 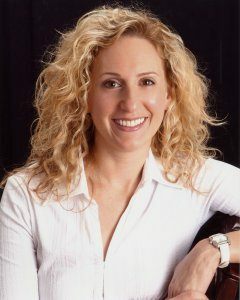 Lori Sunshine won two National Writers Guild Awards and a local Emmy working as a television writer and producer. She lives in New York City with her husband and two children, neither of whom is ever tired! This is her first picture book. Jeffrey Ebbeler has illustrated for magazines, newspapers, and a variety of book publishers. 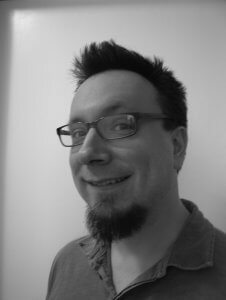 He has worked as an art director and book designer, and has a BFA in illustration from the Art Academy of Cincinnati. Jeff lives in Chicago, IL. You can see more of his artwork on his personal website. Error: Error validating access token: Session has expired on Sunday, 23-Sep-18 01:36:16 PDT. The current time is Friday, 26-Apr-19 01:04:52 PDT.